"Cannot apply localization": how to solve? PHP-based page block: you can make it! Bottom menu and what you can do with it. WAMP - how to set it up to run Dolphin. It was an easy mod to install. now I just have to wait for CCBill to get back to me with info to fill out the form. He and his products are GREAT.....!!!!!!! I cant thank you enough Igor for your time. People say Dolphin doesn't have help etc, I beg to differ. You guys have been extremely helpful. I really cannot say enough about how professional, and talented IrorL is! Very professional, and his code reflects a mature and smart developer, that he is. He went above and beyond to deliver the product he promised. I will use him for any Dolphin development that we need. We needed a dev to work on a payment module for our Adult Payment Gateway, I found Igor, and he really has come through. I have dealt with many Dev's on many projects, and I agree with Ruffkin -- BEYOND IMPRESSED! IgorL, see more I would shake your hand, gladly. Igor is the BEST! He stepped up and fixed things others wouldn't even attempt. Our gratitude goes out to you. Igor I purchased this module however I am missing the information to put the ccbill form numbers in thus I am unable to use this module Please HELP!! Your PHP is running in Apache mode. This script is only for CGI mode servers. How can I activate and use my license? Terrific, I think this is a great mod, it was installed really fast and I learned some stuff about CCBill in the process. I would reccommend this for anyone who is making any amount of money on their website. 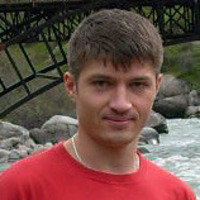 I have little time on dolphin, treated with a few people, but Igor is without doubt the most helpful, courteous and professional. Igor Thank you for helping me! I am trying to buy his CCBill mod but PayPal says he is not set up to accept payments. I do believe he is busy with tons of emails he received everyday, and I believe he is trying his best to answer all. Have patience, he will definitely come to you! Wish i could repay him for his good deeds of fixing a bug on my site just now. Thank You and bless you always, where ever you are; Igor! I purchased this product from Igor a few days ago. I had trouble installing because the instruction manual wasn't clear enough for me, so I messaged Igor and he installed it for me. After, Igor installed it, I followed the instructions that was sent with the module and again it wasn't really clear. Don't get me wrong, not all of the instructions wasn't clear, but some of the parts of the instructions. like when you go to your ccbill account management panel and you have to enter the approval url: see more http:// yoursite.com/m/membership/index. it wasn't clear if you were suppose to use /m/ or /modules/ instead. Other than that, the ccbill module does work. . I do have to give srzielger some credit because he cleared up, what I was doing wrong. Thanks SrZielger. Now as far as the rating: the quality I have to give a 5, communication I will have to give a 2 because after the install, I sent several messages to Igor, but he never returned my messages. Support I would have to give a 2 because again, I sent basic questions regarding the instructions that could have been easily answered, but he never replied back to my questions. Accuracy I would have to give a 2 because of the instructions. By the way you guys interested in purchasing this module the instructions are for ccbill classic account management, they are using a beta, but this can be easily resolved by contacting ccbill and they will walk you through the system. Value I would have to rate it a 5. I've been having problems for the past few weeks, just before my launch(lol). This guy is not only fast, competant, but explains things in detail. Listen to whatever he says and trust him. Buy his mods = )!! Permissions change and php.ini for Apache ????????? I am using aMember on my currently live site. Have purchased this ccbill mod for the site update I am currently working on, so it isn't tested with members yet. The mod was very easy to install and setup. Only issues were over at ccbill account area, creating forms. You need to create a form with no price, then contact ccbill staff (via live chat) to get them to make the form "dynamic pricing". They did that in just a few minuets while I waited. The fact that Igor's mod can use dynamic see more pricing makes it very, very useful!!! Setting up single payment options, recuring payment options, or trial membership - recuring to monthly options is very easy and offers great flexability. Igor him self is very helpful, is there for you when you need him, and is prompt with his support! I do not know how or what to do, so I ask you for help. Great product and a great programmer! Igor is a good guy. 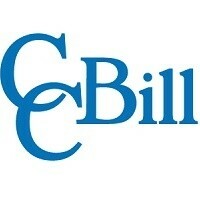 Bought the CCBILL from Igor and askded for recurring billing to be added. Igor repsonded quickly and put the mod in addition to the base mod for ccbill. Great support, thanks Igor you are awesome. Igor is beyond words can ever express how helpful of a person he is. Who could ever ask for more. He always answers all your questions. I have had a few little problems in setting up my site, and Igor has been there every step of the way. Igor, you are the greatest. Ccbill module works as promised. It's very easy to set up. One drawback is that it only supports one form, but this can be very easy solved by specifying subscription IDs for each price. Most time it took to set things up was setting the CCBILL account and understand SYSTEM 5 ccbill Webmaster Admin and how their forms work. Once understood, it's easy to do just about any price option which means multiple membership options in Dolphin. Although I spend more time on implementing ccbill into Dolphin see more I am giving "all stars", because module itself works great and as mjname mentioned it's well worth it. Igor, again well done and thanks for your quick and comprehensive support. one thing which i must say , some times he take so long for reply , even some days , i don't know may see more be he is so busy , but in my opinion if he just reply fast for emails . he can be the best agent for boonex . Also my pricing did not match from my site to CCBill so I had a weird error I couldn't figure out. IgorL was prompt in getting back to me and helpful!!! Although it wasn't the easiest install I've ever done, being new to Dolphin and CCBill I'm giving 5 stars because it's installed, tested and working, for $50 well worth it. We are on our first install (PRIME) with Igor and it has not been an easy task to deal with or our "trumped up server(s)." Igor has been, without a doubt, the most persistent business professional we have ever dealt with in this industry. Understand, we do not have a personal relationship with Igor. We only know him from the prior recommendations he received. And that is how we chose him for our BOONEX AGENT! His past recommendations are true and glad we see more relied on them to pick him as our Agent! His dedication and persistence is as if he is "our" family. Igor will "go to bat for you" and "hang in with the headaches and upsets" these transactions can sometimes become. If you have your own servers, like we do, Igor can navigate through them like a "champ!" It is because of Agents like "Igor" that Boonex enjoys the reputation it has! We can assure you! That if you are looking for a "out of the box solution" Agent, IGOR is your BOONEX Agent of choice! Thank you Igor for that massive install you just completed for us ! We look forward to throwing you our next install! You really are the master of Dolphin !